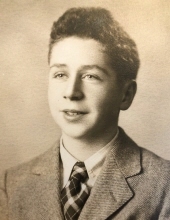 John Morris Coffey, died peacefully on February 2, 2019 at the age of 90 at his residence in Princeton, NJ. John married Constance Anne Morgan in 1956, settling in Plainfield NJ, and later moving to Belle Mead NJ, where they resided for most of their married life. John continued his career as Chemist and then VP/ Accounts Manager at National Starch until retirement in 1992. He enjoyed his retirement years spending time with his family and being outdoors. His favorite pastimes were reading the New York Times front to back on the patio, gardening and birdwatching. An avid sportsman, he continued playing tennis and running until late in life. John exhibited a deep passion for talking to and mentoring others, often sharing lifelong lessons he from his own experiences. Mostly, John was a loving husband, deeply devoted father and grandfather. He is survived by his wife, Constance Anne Coffey, and his 4 children Michael Coffey, Maureen Cahall, Susan Sentman and Daniel Coffey, his 9 grandchildren Donald Cahall III, Elizabeth Cahall, John Cahall, Daniel Drake, Sean Drake, John (Jack) Sentman, Emma Coffey, Patrick Coffey and Ryan Coffey as well as 3 great-grandchildren Caroline Cahall, Sage Hill and Greyson Drake. Services will take place on February 8, 2019 at St. Charles Borromeo Church 47 Skillman Rd., Belle Mead NJ. All are welcome to attend the visitation from 11am-12pm with Christian mass to follow at 12pm. In lieu of flowers, the family has asked that all donations to be sent to benefit the National Audubon Society at https://action.audubon.org/support/donate-now. To send flowers or a remembrance gift to the family of John M Coffey, please visit our Tribute Store. "Email Address" would like to share the life celebration of John M Coffey. Click on the "link" to go to share a favorite memory or leave a condolence message for the family.